I just happened to see one of your campaign, at South Korean Consulate General Office in LA, through internet. And I really do think that this organization and those who participate both directly and indirectly, are brave. But there is something I would like to say as a citizen of South Korea who lives in LA, and also vegetarian. Yes, South Korean does consume dog as a food, not cat. But the population who consume them is declining, but despite that, the habbit of consuming dog as a food is one of our culture, we have raised many animals in house since thousands years ago up til mid-1900s, and we have always thought those animal as a good friend. But after they got old, we ate them, just like all the other countries. But now only few raise animals in their house, and most of the meats that we consume are from either domestic farms or foreign farms, mostly US, so the way of killing them become inhumane, which influenced by western butchering system. So my question is, we have different culture, not wrong culture, and no one can say that their culture has more or higher dignity than other cultures, so is it right to say that eating dog is not right? While western countries consume more meats? Yes, western countries consume more meats than any of countries that this site mentions, south eastern Asia, and some part of Africa. I am vegetarian, in my view every meats are equally curl, but I say nothing about meat eaters, because they also have right to choose what they’ll gonna eat, and also it is their culture. I can’t say that everyone should be vegetarian, becuase it is my choice to not to eat meats and it is there choice to eat meats. I don’t lnow if you are vegetarian or not, but if you truly care about animal rights the slogan that you should have is not “No To Dog Meat” but “No To Meat”. Every animals have equal dignity, and I value there dignity more than others, meat eaters. Your letter was so appreciated. Thank you for reaching out. My name is Julia de Cadenet. I am the founder of our organisation. Let me share with you my vision and ask for your help. I first heard of the dog meat trade in 1999. I met embassy staff from Korea in China who told me of some unspeakable horrors they had witnessed.They asked me to travel to Seoul and I did. I did not see culture I saw cruelty. In fact I saw things that I would not wish my worst enemy to witness. I blanked this torture out of my mind and for 10 years refused to return to Asia travelling mostly in the Middle East where as a jew I can say with honesty we too have our issues I am not proud of. Like you I have been a life long vegetarian and as a lawyer defend the rights of all sentient beings. It took me till 2009 to act. 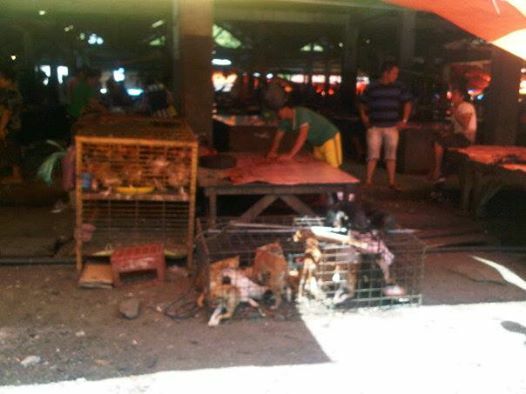 I was in China and witnessed two dogs being skinned alive in front of small children. 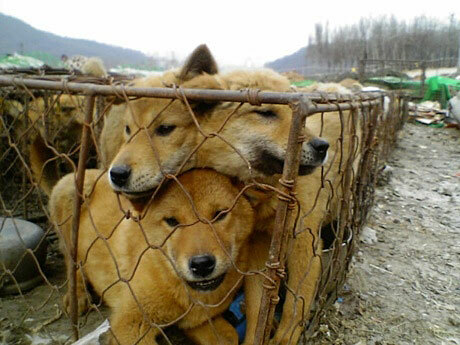 This experience gave me a flashback of Korea ,of the fear the dogs had experienced in the live meat market waiting to be pulled out by the neck and then being beaten, revived and beaten again finally to be electrocuted. I am sorry to repeat this but as said I am a lawyer, I do not deal in fantasy but fact. I have met with the esteemed writer Peter Singer and he said something that also struck me. Animals are perhaps not our equal but should be treated with equality. And, therein lies the dilemma, dogs and cats ,our old friends maybe our best friends have their loyalty repaid by being tortured for food. What can we do? We must speak out to end this foodtortureculture. I believe from the bottom of my heart by addressing the issues of the plight of dogs and cats, people will think what is on their plate and look not just to the cruelty but to the health aspect. I believe that it is our future that defines us.. and together globally ( without Judgment ) we should move forward with compassion. Cruelty is never cool.Together transcending cultural differences we can stop this. If you can help us in anyway, this will truly be welcome. NEXT BOYCOTT BOYCOTT ALL OF ASIA!!!!!!!!!!!! NO NEED FOR MODERATION!!!!!!! stating truth and facts!!!! have you seen chinese man roast live puppy and you tube it???? CHINESE COPY WHO BEAT CHAINED DOG TO DEATH FOR 3 HOURS!!! I am not just disgusted but totally scared of videos I have watched. They have affected me to the point that im ill. I think about all those dogs and just want to go and save them all but I know that can’t happen. What kind of an animal themselves could do this to mans best friend? Innocent gorgeous creatures!!! Please please help these dogs they should be worshiped like Nepal worships there dogs not tortured. We consider dogs as human beings .. They have the same intelligence as a 2 year old child. If children were being killed it would be stopped and would be all over the media !!! So why don’t our fur babies get treated the same???? I’m ashamed being a human!! I need the education and practicality. How can we pressure the politicians over seas? I have only recently become aware of this horror and wish to become actively involved with your campaign. I need to do something more than just sign petitions and donate the little amount I can personally manage at the moment. It was a relief to discover your website, as so much seems to be based in the States, but all the information seems to be about activities for last year. Are you planning any protests or action this year? Since seeing online videos, images and articles about this horrendous trade, I’ve been feeling ill and can barely concentrate on anything else, knowing that right now thousands of beautiful and helpless dogs are suffering across Asia. 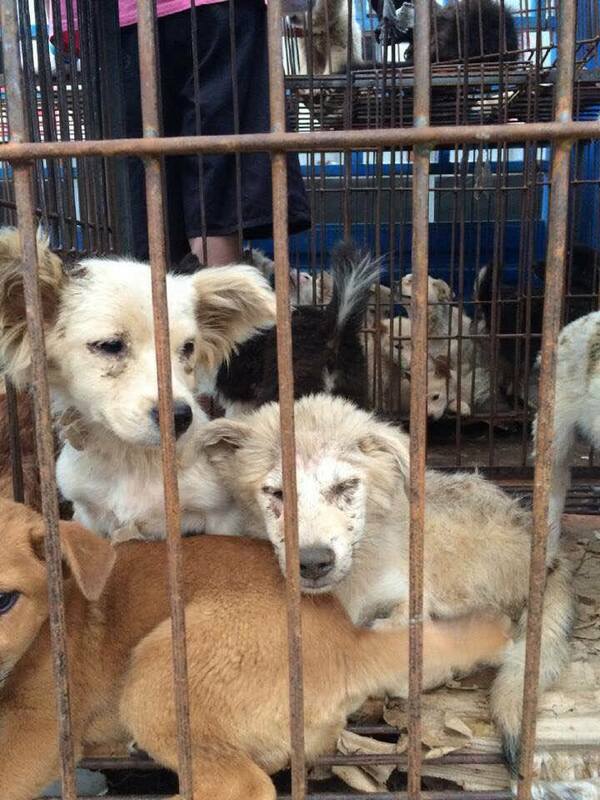 With the nightmare of Yulin looming, what else can I do to help? Thank you for doing such a great work on trying to end the dog meat trade! I think that it would also be a good idea to try to change the beliefs that torture improves the taste and “health” benefits of the meat. I don’t know how this could be done exactly, but I think that as long as dog meat is still eaten in these countries, the dogs should at least be treated in a humane way!